Issue No. 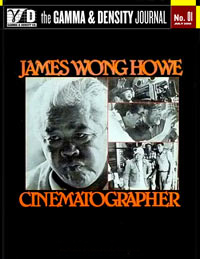 01 - June 2010 Our 1st Issue - dedicated to the art and craft of cinematography. Issue No. 02 - October 2010Where is Cinematography heading? 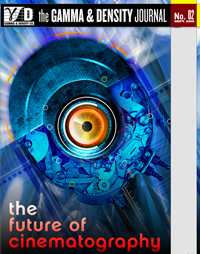 A collection of articles by leading industry professionals. Issue No. 03 - March 20111st Feature Film shot on iPhone & Interview with legendary cinematographer Vilmos Zsimgond, ASC. Issue No. 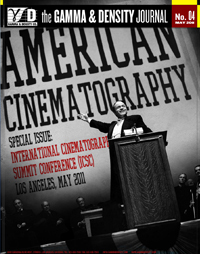 04 - May 2011Special Issue commerating the History of Cinematography and the ICSC Conference. - "The Theoretical Limit on Aperture Speed"
- The Zeiss F/0.7 Lens Used on "Barry Lyndon"
- Approaches to the RED Camera by Yuri Neyman, ASC (featured in the ASC Newsletter, Fall/Winter 2008-09) - "Film and Digital Cinematographers Technologies and its Synergies"